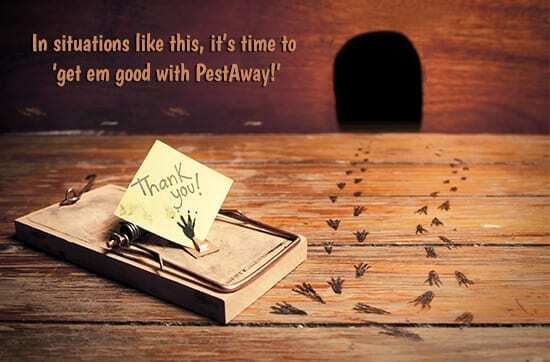 PestAway is an industry leader in both domestic and commercial rat and mice control. This includes specialty pest control programs for multi-high rise buildings. Our technicians are licensed by the health department and trained to thoroughly assess your home or place of business. We use a variety of environmentally friendly techniques to gain control and restore health and safety to the environment. Rats and mice are renown for causing disease and illness, damaging property and leaving trails of excrement. As temperatures in Australia are not severe enough to reduce rodent quantities, it’s not surprising that many people require professional rodent control services. PestAway offers expert services in the following areas of sanitation, rodent proofing advice, trapping, baiting and safe chemical control. They can take up residence just about anywhere and are non fussy eaters. Mice nibble and rats have ferocious appetites and can eat just under half their body weight per day. Females breed throughout the year and can produce well over 100 babies. In protected environments they can live for 3 years. 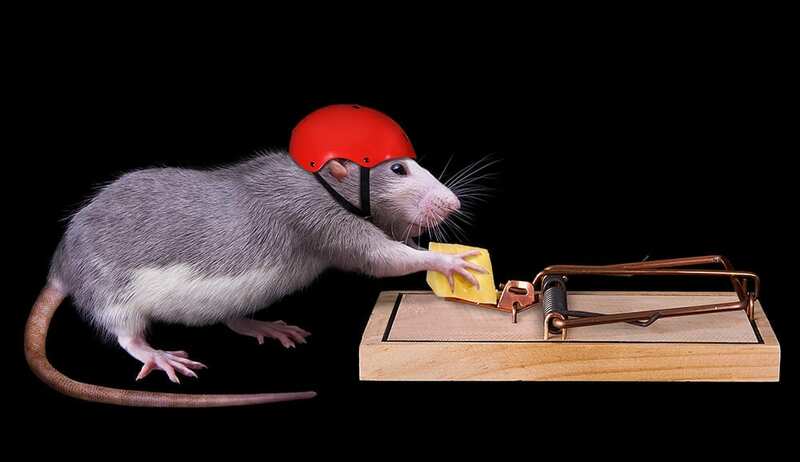 It’s easy to see that rats and mice if left unattended can soon multiply into a significant risk for public health and safety. Domestic and commercial property damage can escalate into hundreds and thousands of dollars. Rats and mice are mainly active at night. When numbers become exceedingly large, the chance of seeing them through the day is more likely. The onset of colder weather is a common time when rodent infestation is reported as an issue. They will venture out and explore when they think they are alone. 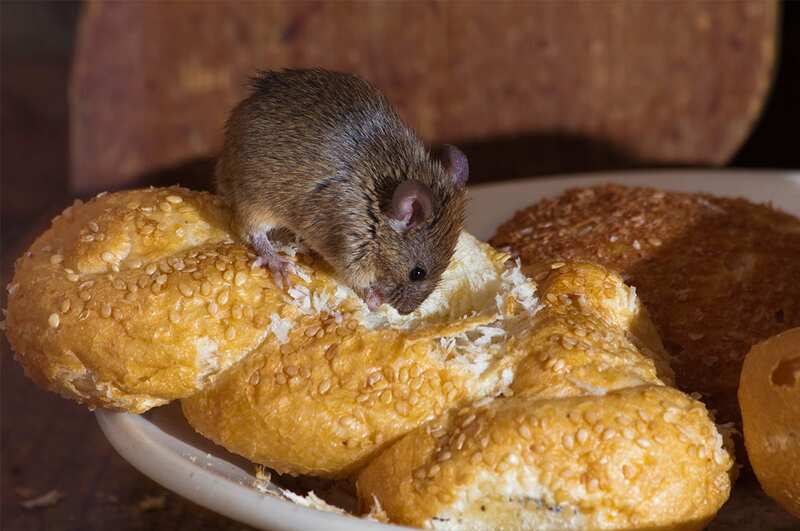 Rats and mice are territorial and nest close to a food source. Interestingly, mice can squeeze through a hole the size of a pen. Rats can flatten their bodies to fit under a the gap at the bottom of a door. A heavy rat infestation will cause excessive damage to food stuffs and property if left untreated. Look for sign of droppings and urine stains. In poorly ventilated areas this can small old and musky. Droppings and stains can be found in cupboards, closets, subfloors, wall cavities, roof spaces… In dusty areas it may be possible to see tracks or foot prints. Rats gnaw at everything. Check electrical cords and gnawing marks in walls, wood etc. Nests are made up of just about anything and when rodents are active at night you may hear them scurrying around. 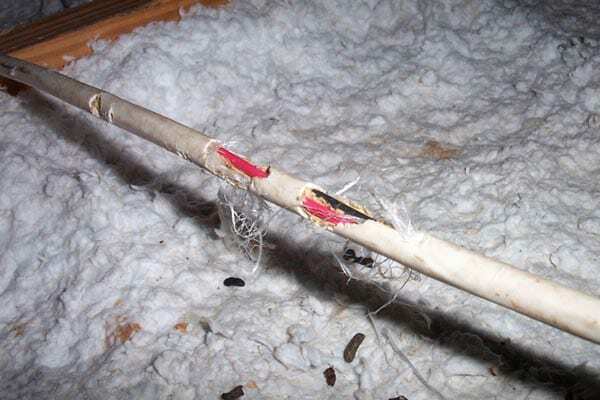 In both domestic and commercial environments, we recommend keeping rodents out of the buildings in the first instance. Remove overhanging branches near the house and don’t store rubbish and food scraps close to living zones. Inspect the outer perimeters of the property to make sure rodents can not penetrate. 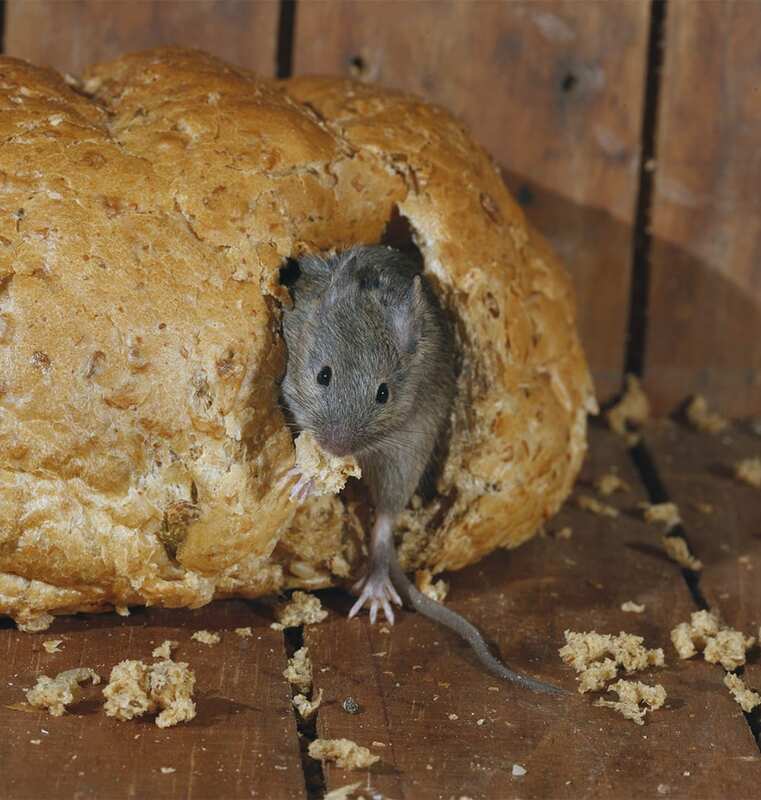 Mice can squeeze through tiny holes. Combined with good sanitation, setting well placed tamper proof baited traps assist in rodent control. These are safe and effective in larger public facilities such as schools, hospitals, community centres etc. The use of glue boards is limited and must be monitored every 24 hours. Careful consideration is given to treatment modalities particularly in commercial food handling environments. Rodenticides must be carefully justified and administration is untaken by licensed technicians. Strict precautionary measures are followed to ensure health and safety requirements are met and there is no risk to humans, animals and environment. When cleaning, it is recommended to spray contaminated areas with disinfectant to avoid stirring airborne disease. 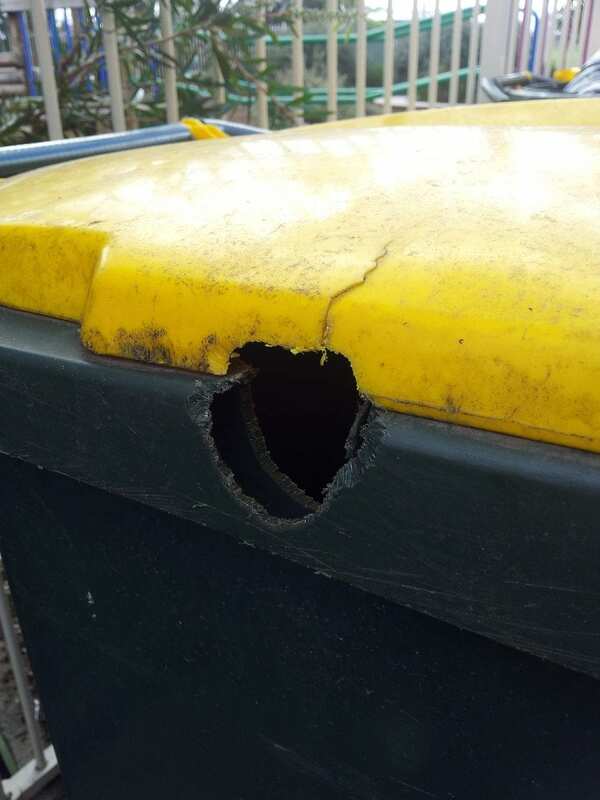 Dispose of droppings and carcases in an incinerator or wrapped securely in a plastic bag. Protect your hands by wearing gloves and wash in hot soapy water.